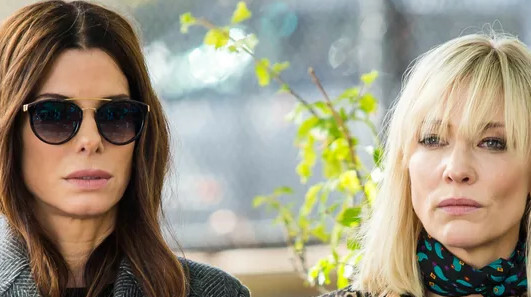 Sandra Bullock has revealed the Ocean’s 8 cast were expected to argue just because they’re women. The highly anticipated, female-led film is landing this month and, ahead of the UK release date, the cast have revealed the sexist expectations that were put on them whilst filming. Speaking on The Graham Norton Show’s Ocean’s 8 special – which will air tonight (June 15) – the actress claimed many assumed the women would be “pulling each other’s hair out”. “We were expected not to get on,” she said. “My publicist got an email from a tabloid saying they had heard I wasn’t getting on with everyone else on set, and I really took it personally until I found out each one of us had got the exact same email. The Graham Norton Show airs tonight at 10:45pm on BBC One. Ocean’s 8 lands in UK cinemas on June 18.